Top 5 of the Week: Compact Homes to Bathroom Trends! Among the many homes and ideas showcased this week, these are the top five that resonated with you the most. It's only our second week of wrapping up what you loved at the end of the week, and it seems a trend is already forming—you just can't get enough of compact homes! Coming in at number one is another small but impressive family style home where just about anyone could imagine themselves living and loving life. Now we're giving you the chance to take a walk backwards through the week and re-imagine yourself in these beautiful homes and environments, all seen this week on homify! So get yourself comfortable and get ready to revisit the homes you loved this week. Let us know which home, or idea, was your favourite this week on homify. Did it make this list? Enjoy! And get ready for another week of everything home and lifestyle on homify! 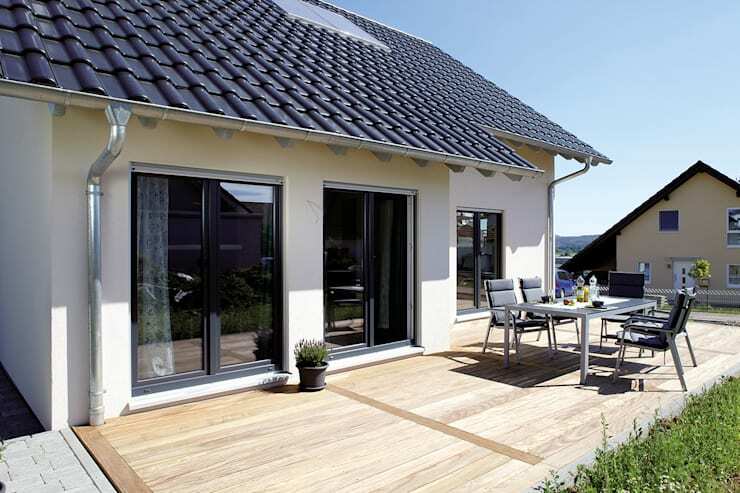 Your favourite house featured this week is this simple, compact family style home from Saarland in Germany. Home is all about comfort and belonging, concepts that everyone needs in their lives. This home has that special extra spark—it also comes with a sense of tranquility and serenity, it's a place where family and friends invited over for meals can enjoy the environment. It's also a house perfect for raising children, so it ticks all the boxes. This home is a modern take on suburban living, and was created by the excellent team of architects at FingerHaus GmBH. From the exterior, it appears to be a simple (albeit modern) cottage, but once you take a look at the interior, you'll see that it's so much more. The total floor size is 154m², but the space is used so cleverly that it feels a whole lot bigger. 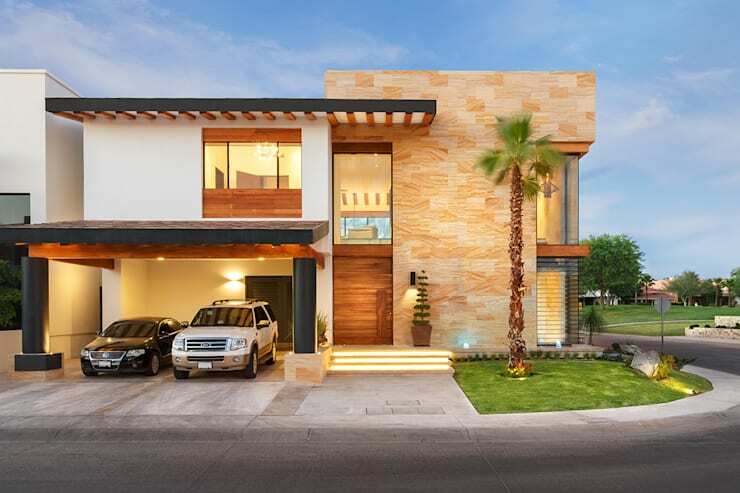 This modern, minimal home by ADI architects is the type of home you want to live in if you're a fan of cutting-edge architecture, precise design and just the right amount of natural, earthy touches. Every element of the design is modern, but not in a boring or uninspired way, it's really something special—which is why you loved it so much! The design is even futuristic somehow, through genius use of artistic lines and shapes. This one is definitely worth taking a closer look at—again! Architectural creations that find the line between trendy and interesting are always more than worth taking a look at, hence the popularity of this project. At homify we showcase everything from mansions fit for movie stars to charming little backyard cottages. We've got it all, and we make sure you see it too! This fascinating home is located in Bielsko-Biała in southern Poland, and while it's quite simply in many ways, it's also got a real dash of romance. 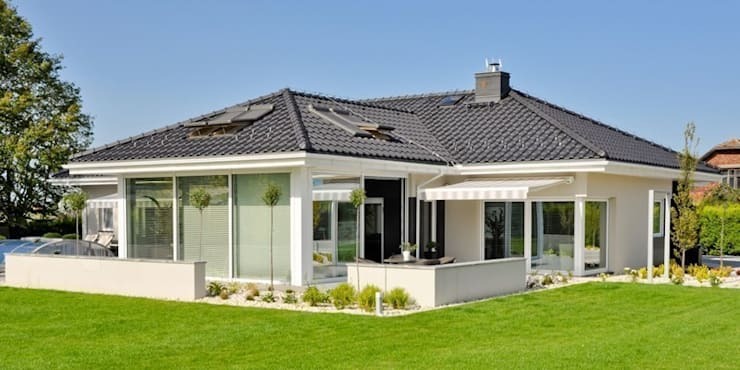 The contractors Abakon, have presented a modern residence with crisp white coatings, neutral finishes and a lush green lawn that frames the homes perfectly. It really is a home that ticks a lot of boxes. Take a look inside now! Along with modern masterpieces and compact homes, sometimes you just can't go past a home that is so clearly built for a family. This house is clean, modern and sophisticated and was completed in 2013 specifically for a family of five by the Mexican-based Imativa Architects, who had received a very specific brief from the mum and dad. They wanted functional spaces for all manner of family activities, and that's exactly what they got. This house is literally the dream home of the family, and you can just see why. It's based on 550 square metres of land, on which the architects have used every inch to create a ground floor for social activities and a second story as a private space just for the family. What has been achieved here is the perfect family home—just the right balance of fun and comfort. As Michael J. Fox said, Family is not an important thing. It's everything. So let's go on and explore a family's dream house! Along with beautiful homes big and small, it seems the room that peaked your interest most this week was the bathroom. It's probably because it's one of the most underrated rooms in the house, and you know it! If you think of the decor in your bedrooms, living room and kitchen, the bathroom seems insignificant in comparison because it's usually much smaller—but that doesn't mean it should be ignored, because it's one of the rooms we use most often throughout the day. So, irrespective of the size, this is a room that should be decorated beautifully and made into a comfortable space where you can have the most enjoyable experience possible. This week we showcased six trends through photographs of projects that will leave you feeling inspired and ready to transform your own bathrooms—or just to make a few small touches. 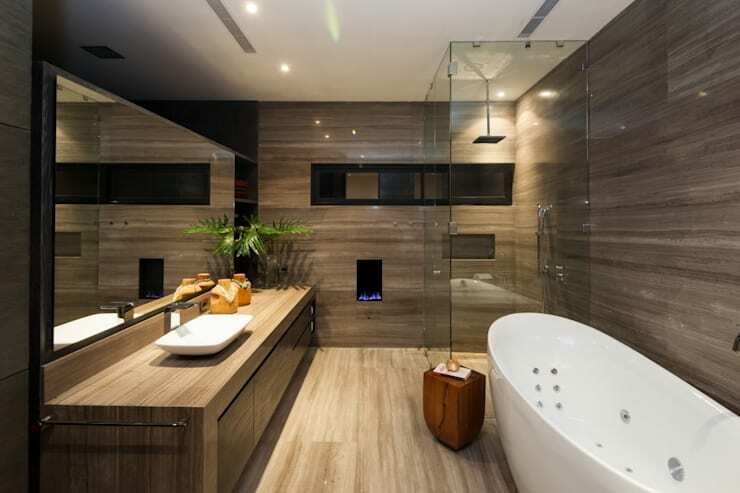 See the article again here: Brilliant, beautiful bathroom trends.